For many, cars are an escape. After a long, stressful day, sometimes a jaunt down your favorite country road is just what the doctor ordered. Out there, it’s just you, your machine, and the pavement. 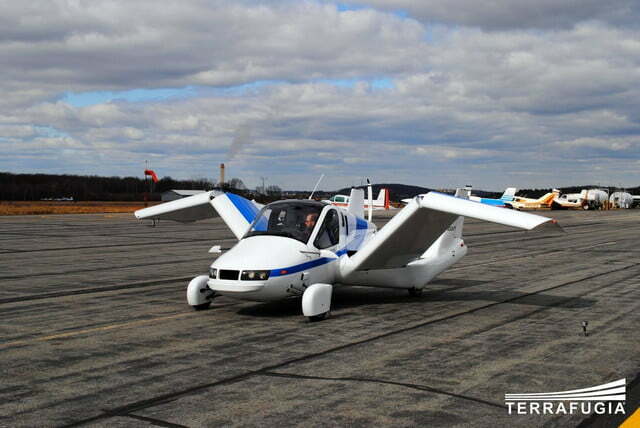 Soon, you might be adding the stratosphere to that list, because a Massachusetts aircraft manufacturer called Terrafugia is planning to release its Transition aerocar in the next three years. The street-legal two-seater features a 100-horsepower Rotax gas engine, which powers the rear wheels on the road and the rear-mounted propeller during flight. 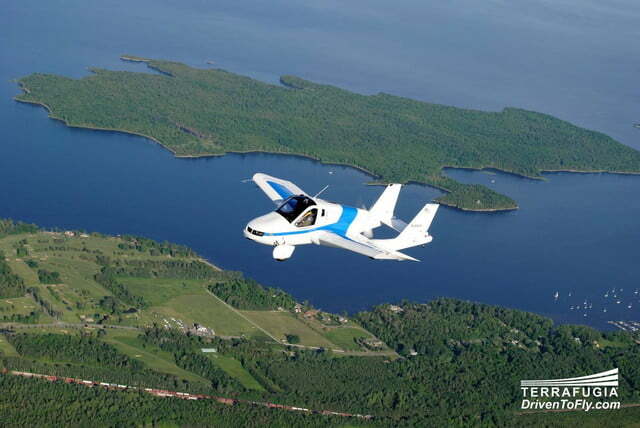 Granting true ‘go anywhere’ freedom, the Transition converts into an airplane with a 410-mile range in just 60 seconds. With 35 mpg on the road and 5 gallons-per-hour in the air, the Transition will get you where you need to go and back sans gridlock. The aerocar made its first public flight in July 2013 at the EAA AirVenture airshow in Wisconsin. 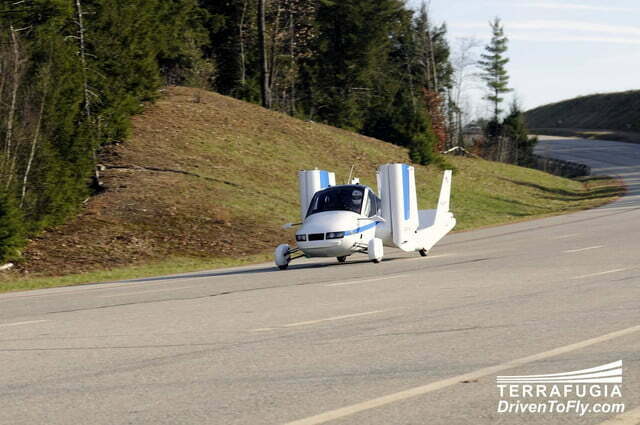 See the Transition (and its slick folding wings) in Terrafugia’s video here. 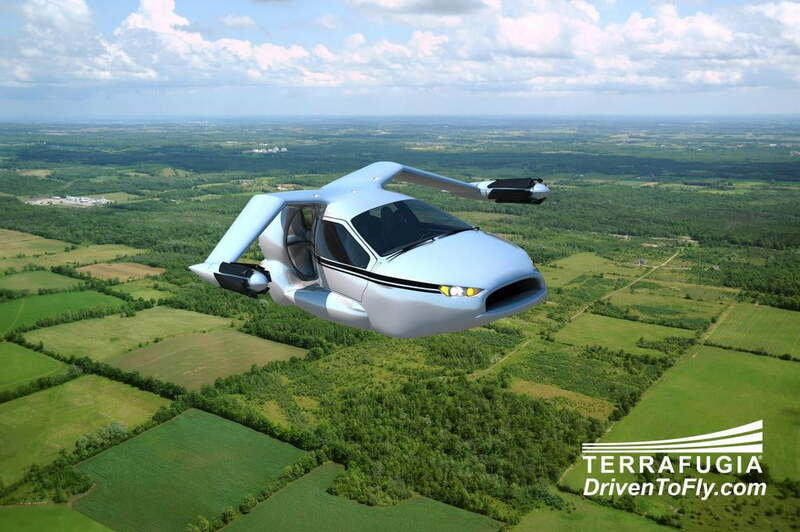 Terrafugia, which means “escape the earth” in Latin, is also planning a TF-X plug-in hybrid flying car in the next 8-12 years. Using Osprey-like tiltrotors and a rear propeller, the four-seat TF-X will have vertical take off and landing capabilities, with a non-stop flying range of 500 miles. The vehicle looks like something out of Star Trek in the air, and it turns out the aerocar has some futuristic safety features. 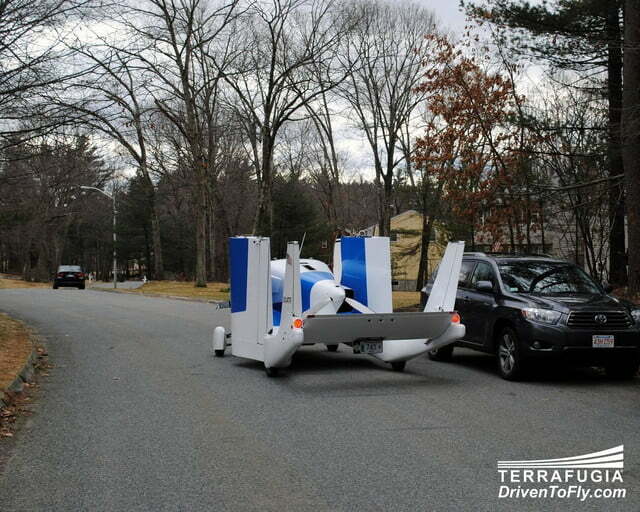 If the driver/pilot becomes unresponsive, the TF-X will perform an emergency auto-land at the nearest airport. There’s also a full vehicle parachute system on board, and with automatic flying capabilities and standard on-road driving, Terrafugia claims operation of the vehicle takes only five hours to learn.